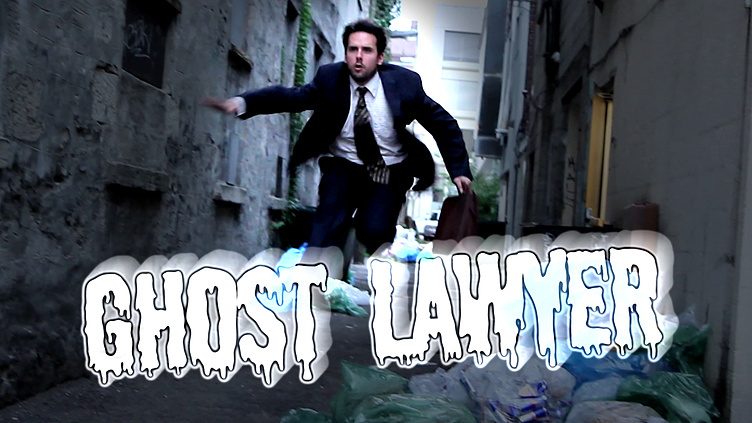 A young writer is hired to script the worst show in the history of television - Ghost Lawyer. Hahah! I really like this project, just finding you guys now! really love this concept and the cast is great too. the song is great! good luck making it through to the next round, wowee! Like Daniel's very animated facial expressions.....the attic backdrop was intriquing with the shadowy effects and all. I usually find lawyer humour an oxymoron but this idea gives it a new spin. I just watched your week 2 video and liked what I saw. I like the stark, somewhat spooky attic setting and how team members surprisingly popped in. I'm smiling. I find the ideas creative and funny. Hoping to see some funny things from you guys! I adore the Ghost Lawyer song. The attic/loft was a great setting - nice camera work. I'm looking forward to more. I agree on not wearing stripes! I promise I won't wear stripes in these mission videos anymore! Creepy! Looking forward to more. Love both of these people very much and love everything they do! !